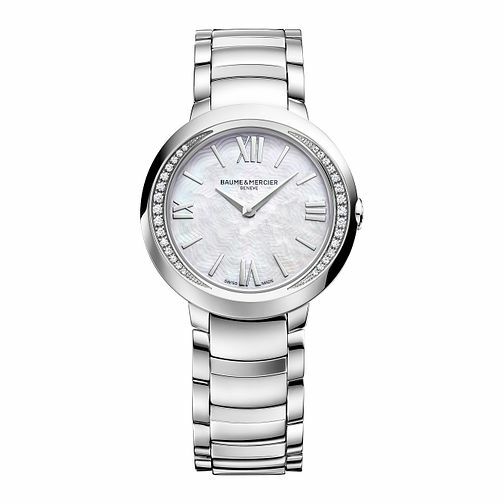 From the Promesse collection, this Swiss Made watch from Baume & Mercier is elegant with a touch of glamour. Features a sleek stainless steel bracelet and shimmering mother of pearl dial, the watch bezel is also set with 2 crescents of diamonds for a touch of sparkle. Baume & Mercier is a Swiss luxury watch brand that combines the finest watch-making tradition with aestheticism and quality.